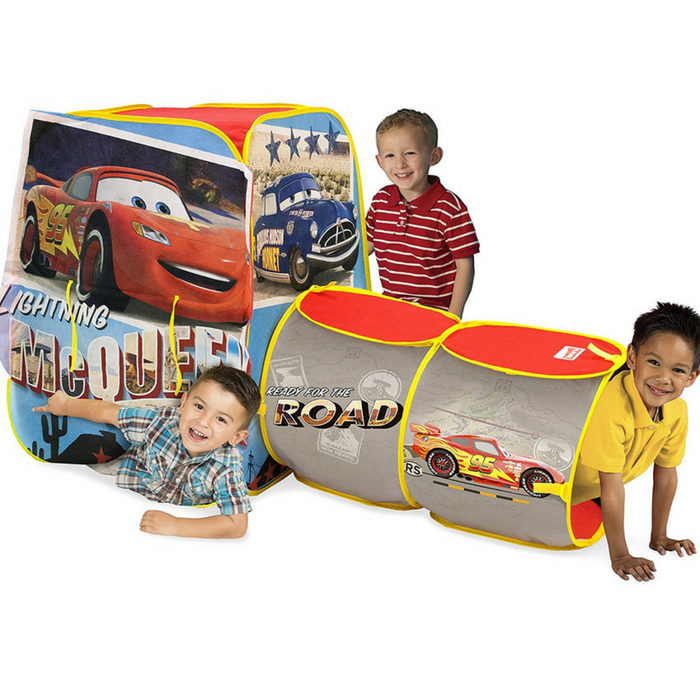 Disney Cars Playhouse Just $12.20! Down From $30! You are here: Home / Great Deals / Amazon Deals / Disney Cars Playhouse Just $12.20! Down From $30! Amazon has this Disney Cars Playhouse on sale for just $12.20 down from $29.99 PLUS FREE shipping with Amazon Prime or for orders over $25! Your little one will have hours of fun with their car discovery hut by Playhut! A roll-up front door and two-section tunnel port provide endless hours of peek-a-boo and crawl-through fun. Made with lightweight material, the discovery hut pops up in seconds for EZ play and folds back up for EZ storage and travel with Playhut’s patented twist N’ fold technology. Ideal for children ages three and up. Just twist, fold and store!